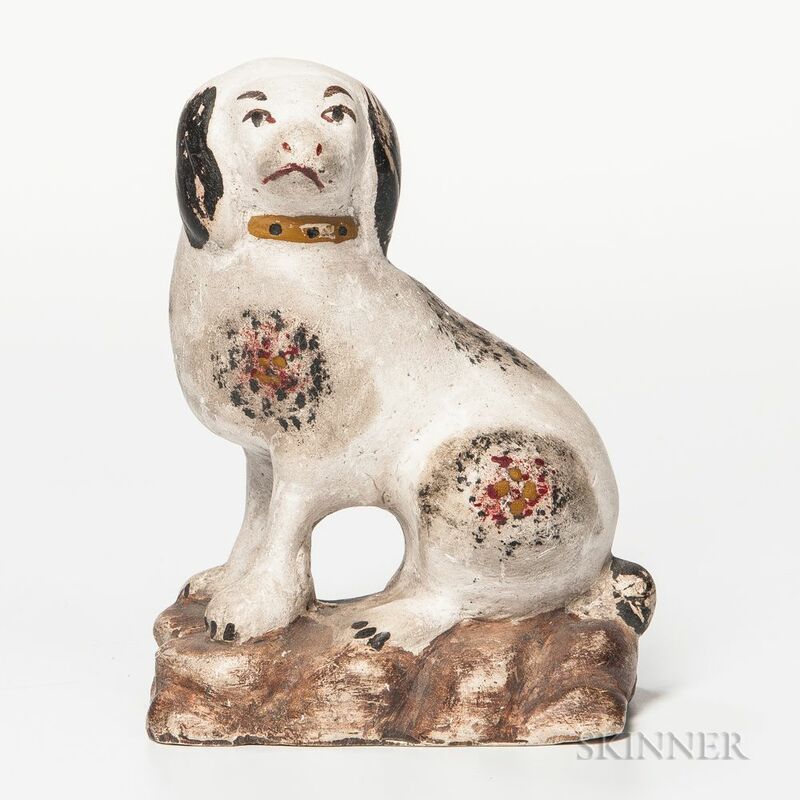 Spotted Chalkware Dog, 19th century, in seated position with painted facial details, ht. 5 3/8 in. Provenance: Duxbury Antiques, Duxbury, Massachusetts, May 4, 1979.